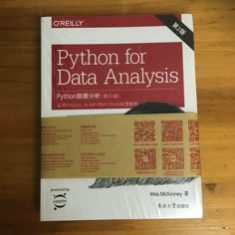 However, I’m old school so I went to the local foreign language bookstore and eventually found three O’Reilly books on Python, I opted for “Python for Data Analysis” even though online classes and ebooks are all the rage. I of course plan to review the resources linked to below. I also have my very first problem I want to solve in Python, an XML text file I want to extract strings from, and I may even attempt some of the Project Euler problems in Python, that is what I did last time I brushed up on programming languages along with building my web mashups, an iPhone game (or two), and overhauling this website. My biggest priority is of course to find a new job, I thought I’d at least have some interviews by now, but nada. 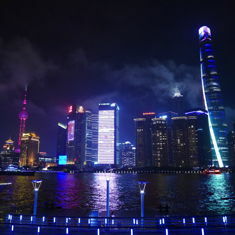 I’m willing to relocate and obviously I have an IT background and Bachelor’s of Computer Science degree to go with my MBA and CFA studies. I linked to my resume in the second paragraph. I plan to work on learning Python, updating this post as I find resources/make progress, update and fix old code on Muschamp.ca and my other big goal after all my studying and all my knee, back and hip problems is to lose weight again. Needless to say I’m also trying to drink less. This entry was originaly posted on October 3rd, 2018 , it was last edited on February 15th, 2019 and is filed under: Information Technology and tagged: CFA®, Data Analysis, Programming, Python, Software Development.